Welcome to Virtual Realty Tours. 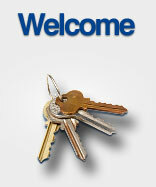 We offer you the most convenient way to shop for all types of Real Estate. Our high definition virtual tour provides a 360° view, improving the ability for clients to quickly search prospective properties. The virtual tour provides an enhanced view over tradtional still photos. Our new video tour incorporates our virtual tours and also includes still photos and feature sheet information. Check out our YouTube Video channel to see samples of the video tour product. We offer free hosting for all of our packages. All of our listings can be 'tweeted' to our Twitter account.